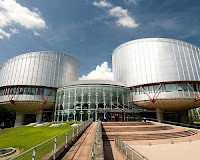 The European Court of Human Rights is primarily known as the instrument for protection of human rights guaranteed by the Convention. The Court rules on individual applications against the states-members to the Convention alleging violations of the civil and political rights provided by the Convention. However, along with protection of human rights the other main function of the Court is to protect the rule of law and democracy in Europe. For the last fifty years of its existence the Court elaborated an impressive case-law on rule of law requirements, and many of its judgments have led countries-participants of the Convention to alter their legislation and adopt reform measures in a wide range of areas, thus, promoting the rule of law in Europe. The European Court of Human Rights is an international court within the Council of Europe. It was set up in 1959 and located in Strasbourg, France. Statute - Statute of the Council of Europe. The CIS Human Rights Court: a possible alternative to the ECHR? All content provided in this blog is for information purposes only, does not constitute legal advice and must not be relied upon as such. The author of this blog makes no claims, promises or guarantees about the accuracy of the information on this site or linked to this site. The author of this blog will not be liable for any errors or ommissions in this information. However, if you find any errors of fact in this blog, please feel free to inform the author about it. All blog posts reflect the views and opinions of its author and are not affiliated with or endorsed by the European Court of Human Rights or any other institution within the Council of Europe. Blog posts by Svetlana Huntley. Awesome Inc. theme. Powered by Blogger.